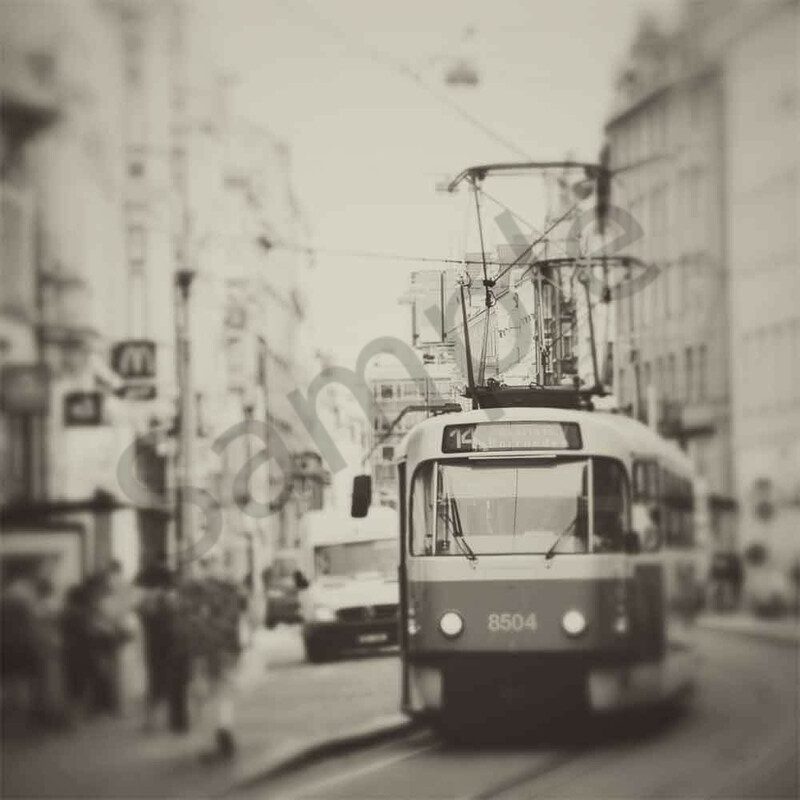 Old tram car photograph in Prague by Ivy Ho for sale as Fine Art. Faithful tram in the old city blocks permeates charm of a historical era. This photo was featured in The female photographers of Etsy (fPOE) Collective :: Volume 03 Shades of Grey.